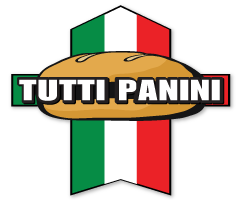 Tutti Panini provides customers in Richmond Hill with homemade Italian cuisine, all made fresh from our family recipes. Whether you’re in the mood for a fully loaded veal, chicken or meatball sandwich, a hearty pasta dish or a light, crisp salad, our menu is sure to offer something to delight your senses. Our restaurant is located on King, just west of Yonge. We are wheelchair accessible, and plenty of free parking is available in the plaza. We also operate a fully loaded mobile food truck, serving the same favourites you’ll find on our in-store menu. Contact us on our eform to set up take-out, catering or food truck services today!